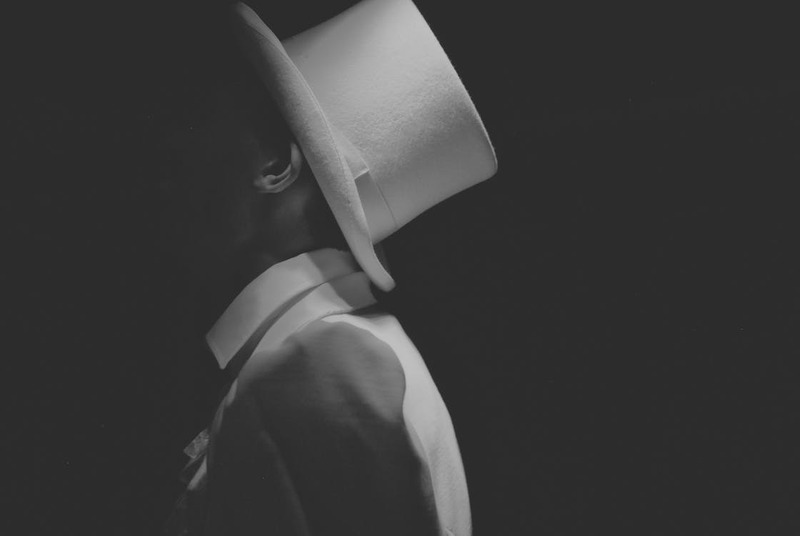 With its towering cylindrical crown and slightly curved brim, the top hat has been an eye-catching accessory for centuries. The historic topper often conjures up images of stiffly-starched gentlemen in the Victorian era, or iconic figures such as Abraham Lincoln, Uncle Sam, Willy Wonka, and the Mad Hatter from Alice in Wonderland. Although traditionally made of silk on a felt base, it's surprisingly easy to make your own cardboard top hat with or without a felt layer. Whether you want to create a top hat for your child's school play, a Halloween costume, or simply because you'd like to try your hand at DIY top hat making, follow our step-by-step guide for a fun and creative project. Once you decide you want to make a top hat, you'll want to stock up on supplies. The good news is that you don’t need a sewing machine — nothing has to be sewn with this top hat tutorial. Even though you will be doing everything by hand, this do-it-yourself project is quite easy even for beginners who have never attempted to craft a top hat before. Top hats are traditionally black, but feel free to choose any color you prefer. The purpose for using the top hat will help determine the color. For example, are you planning to perform magic tricks or dress up as Abe Lincoln? 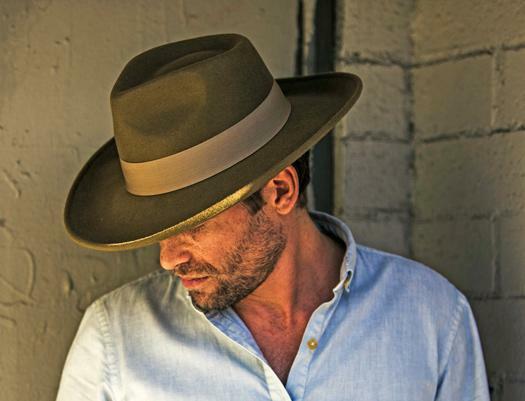 If so, you'll want a traditional top hat in grey or black like this wool felt fedora. Or perhaps you need a green topper for St. Patrick's Day, a multi-colored creation more in the style of Mad Hatter hats, or a coffee-colored steampunk hat for a music festival. No matter the reason, the fun part about making it yourself is that you get to select all the details and customize it as much as you like. Get your firm poster board (this could be in any color) and mark a dot in the center with your pencil. Starting at the dot, use your drawing compass to make a large circle with a diameter of about 15 inches. Draw another circle inside it that is 8 inches in diameter. Use your scissors to cut out the center and cut around the larger circle. You now have your brim — it should resemble a large donut. Save the smaller circle cut-out for the top part of your hat (the roof). Grab your more flexible piece of cardboard (it could even be a large cereal box) and cut it into a couple of rectangular pieces. Take the two rectangles and shape them into the barrel of the top hat. Tape them together until they fit snugly in the brim hole. Use your duct tape or masking tape to ensure all parts are securely arranged. Take the smaller circle that you cut earlier and tape it to the top of the hat so that your hat now has a roof. Next, it's time to add felt to the top hat and make sure it looks seamless and smooth. 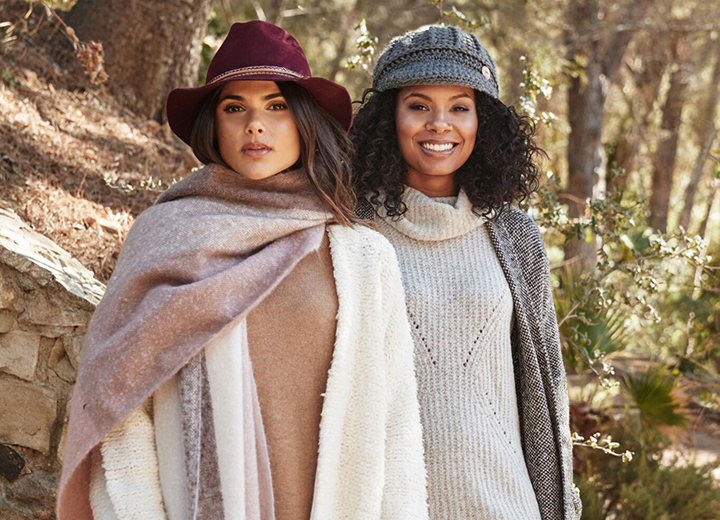 Craft felt is a versatile fabric that has a slightly furry texture. Take a look at this wool felt hat to see the material up close. Get your pieces of felt and use your hot glue gun to apply the felt to the barrel (cylinder) of the hat, the brim, and the roof. The final step in crafting your top hat is the most fun. 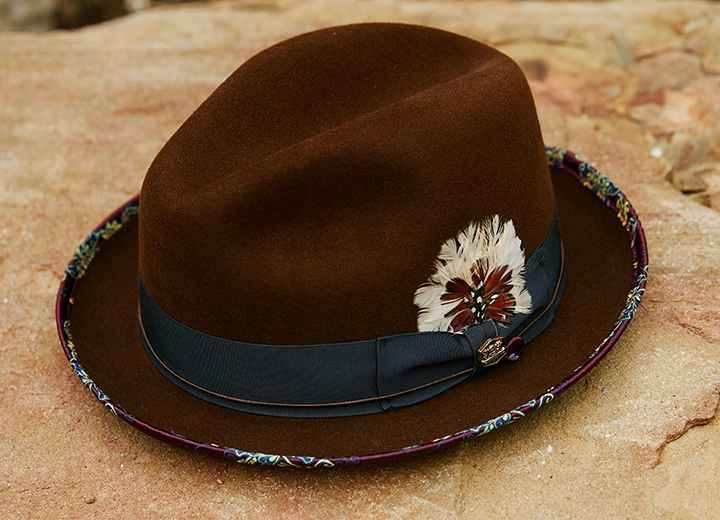 Here's where you can get extra creative and embellish your hat. Try hot-gluing feathers, long strips of leather, rhinestones, and beads on the side, or use grosgrain ribbon to create a band around the base. You can even use acrylic paint or glitter for added detail and color. Don't be afraid to give it your own personal touch — you cannot go wrong by including decorations with special meaning. 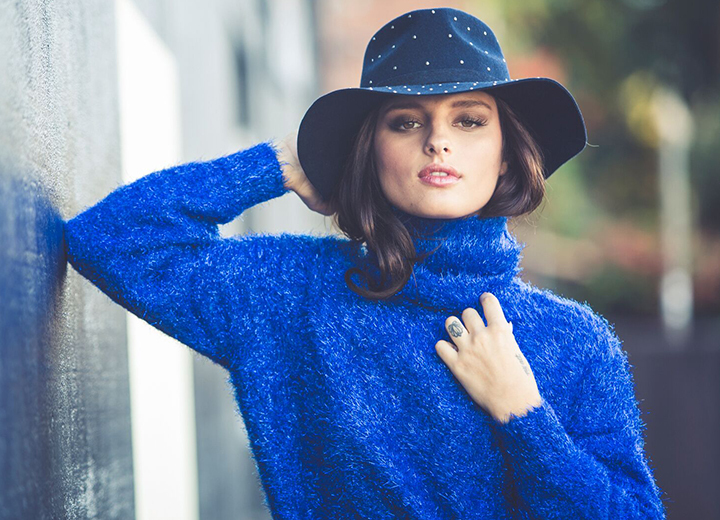 For inspiration, take a look at this luxe wool felt hat by Santana featuring leather trim and a peacock feather. Top hats work for so many holidays from Halloween to Christmas (Frosty the Snowman or Ebenezer Scrooge, anyone?) and everything in between. Despite their history as high-end head warmers, the top hats of today are much more relaxed and fun and can even be used as pieces of home decor. Keep in mind that this guide is for making a regular full-size top hat, but you could easily adjust the sizes by half to make a mini top hat. Either way, get ready to enjoy your new wearable piece of art.